Are you worried about retaining your employees? If so, you’re not alone, according to a new survey. Are you worried about retaining your employees? If so, you’re not alone, according to PayScale, Inc. The cloud compensation data and software provider released survey results showing an increase in such concern during this week’s HR Technology Conference in Las Vegas. The results showed that 82 per cent of employers are now more concerned about retention than at the beginning of the year. The survey, an update to PayScale’s Compensation Best Practices Report released in February, also showed a 22 per cent increase in employers listing retention as their primary concern. “Early in the year, organizations listed retention as their number one concern,” PayScale Vice President of Marketing Tim Low said in a statement. Low added that since the true cost associated with employee turnover is high, more firms are seeking new means of retention. Retention concerns are increasing. 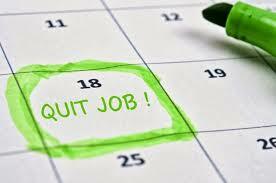 In February, 60 per cent of employers listed retention as a major concern. That number is now up to 82 per cent. Employers grasp the strong connection between compensation and employee engagement. Eighty-seven per cent of employers said that proper compensation was crucial to employee engagement. Attracting and retaining employees has grown more difficult. More than half of respondents said that talent markets have grown more volatile since the beginning of the year. Modern technology solutions can improve retention. Keeping key talent can hinge on new analytics and technologies, with most respondents agreeing that compensation management solutions are crucial. The survey was conducted between September 15 and September 22, with 422 companies responding.